After a brief home improvement hiatus, we're back at it. This time, we're tackling the front bedroom, which currently services as a guest-TV-storage-exercise-lounge combo room. This combo isn't working too well, so we took a hammer and crowbar to the parts that needed to disappear for good. Step 1: tear away the silly bump-out closet taking up already limited square space. Step 2: see what's hiding behind the mantel. We plan to use the existing tiny closet as a built-in book shelf and are currently figuring out exactly what to do with the part of the wall formerly concealed by the mantel. We've got some brainstorming to do here and called in a contractor for an expert approach on this front. I've done it before and I'll do it again. Since the majority of the floor will be covered by an area rug, sinking money into refinishing the hardwood doesn't make sense for us right now. I'm looking into black-painted hardwood floors as continuation of the painted steps and landing I'm working on wrapping up. I'll be using Benjamin Moore Floor & Patio Low Sheen Enamel on this after sanding and priming the heck out of the surface. 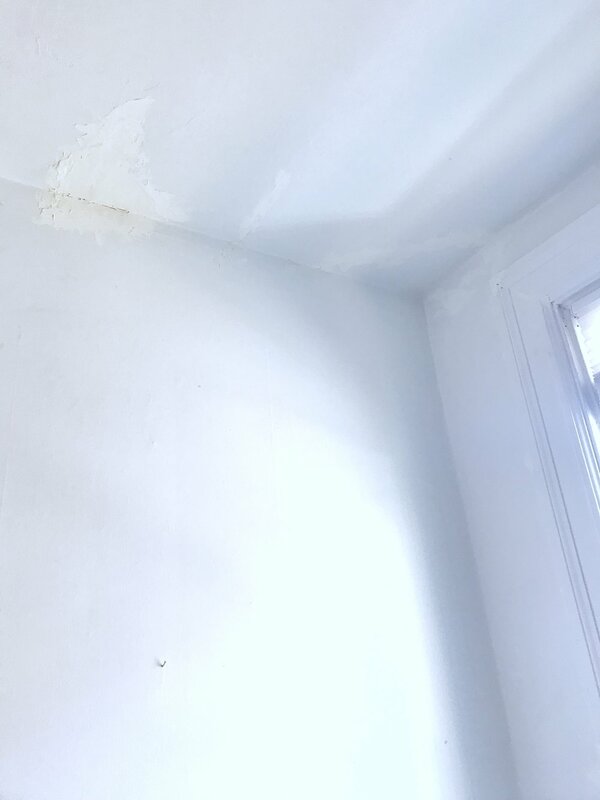 The walls and trim need some love. 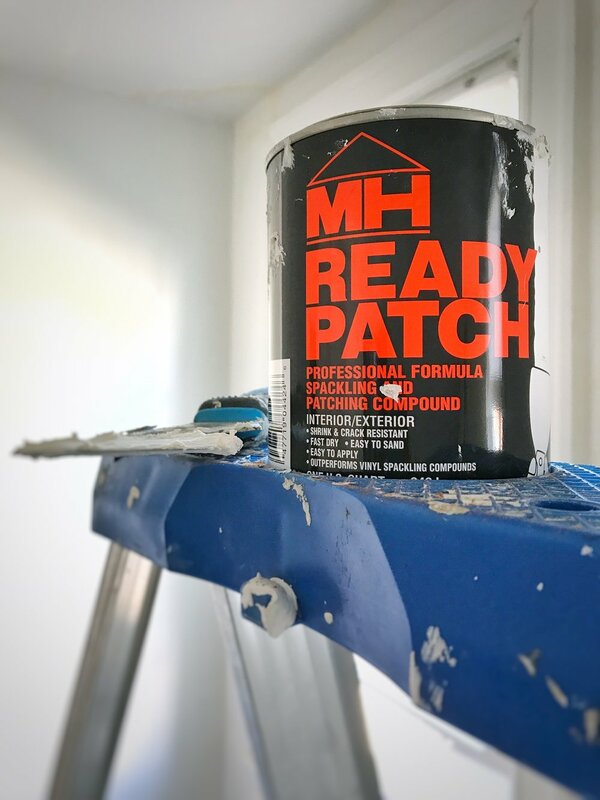 With my favorite friend Ready Patch by my side, I started patching the cracks and filling the gaps. Once it dries, I'll sand before priming and painting. These little details are the opposite amount of fun as demo work, but they make a huge difference. Tedious, but necessary. I'll use Benjamin Moore Simply White on the trim and my very favorite Benjamin Moore Moonlight White on the walls. To keep the room as versatile as possible, we're looking into Ikea's UTÅKER Stackable Beds. They can transform into two singles, one queen, or an L-shaped couch quite easily, so they'll allow us to keep the room serving several purposes. So that it continue to serve as a storage space, we'll keep a dresser and such hanging out. So that's the plan. I'm beyond excited to get this space working for us. Stay tuned for what is destined to be another adventure.